We are proud to ann ounce the introduction of tuning for the Chevrolet Captiva 2.ovcdi. 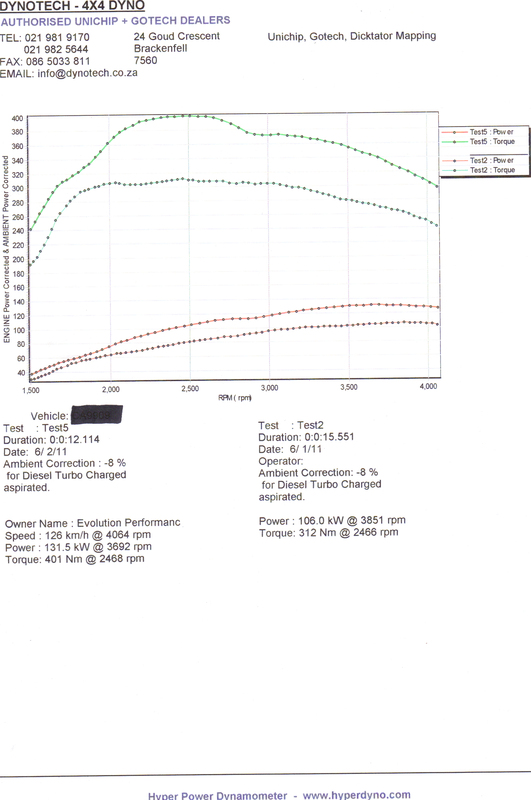 As can be seen from the dyno sheet the gains are extensive for this engine. As many owners of this vehicle know these SUV’s are plagued with poor pulling power and bad diesel consumption. We attacked all these area’s, reasonable diesel consumption gains can be noticed especially on high way driving where the Chev Captiva can be rather thirsty especially once cruising over 120km/h. We have also improved town driving diesel consumption by 0.4l/100km. Considering the power gain this is a great improvement. Driveability is improved throughout the RPM range. Please contact me for pricing and we will require the vehicle for +/- 2 hrs.